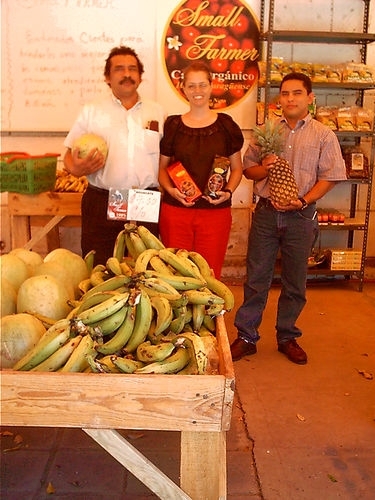 Esperanza en Acción was founded in 2002 in response to a request from two Nicaraguan artisans for help in finding fair markets for their work. That first year we had one volunteer that worked with a family of stone-carvers, a women’s pottery collective and an organization that supports fair trade coffee farmers. While we started with two artisans, we have expanded to working with more than 31 different groups of artisans. Esperanza en Acción is committed to working with artisans living in poverty, whether they are organized in cooperatives, collectives or work in their homes with their families. When we consider all involved, today we are economically empowering approximately 1000 people in the artisan families through fair trade. These artisans make beautiful handmade pottery, pine needle baskets, bamboo baskets, stone carvings, paintings, weavings, jewelry, cards, animal whistles and more. In addition to our direct work with the artisans we provide social and economic justice education both in Nicaragua through our Economic Justice Education Center and Fair Trade shop as well as through tours in the United States. As a result of this collaborative effort, Esperanza has increased our sustainability and contributed to significant improvements that the artisan families have made in their homes, nutrition, health care and education.